RIM has making some interesting choices regarding its future over the past year. The company launched its PlayBook tablet with what was really a beta release of the OS. It expanded its device management platform to include support for managing iOS and Android devices (though many saw that move as too little openness too late in the game). And it introduced support for Android apps in last month’s PlayBook OS update. In another move that will leave observes scratching their heads, RIM is looking to hire iOS developers. Unlike RIM’s recruitment of Android developers, this doesn’t appear to be in any way aimed at porting existing apps to the PlayBook. The job posting, which lists RIM’s Bellevue, WA location, is for an internal Senior iOS developer that would be creating enterprise-focused iOS apps for the iPhone and iPad. The job posting for a Senior iOS Mobile Developer was spotted on LinkedIn earlier today by All Things D (LinkedIn now lists the job as no longer active). Most of the responsibilities and required skills are typical HR descriptions for the a mobile developer job in the corporate world. Must be able to show applications from the App Store that they have written at interview. The big question is why RIM is looking for an iOS developer. One possibility is that RIM is planning to bring its BlackBerry Messenger (BBM) to iOS. iMessage is essentially Apple’s version of BBM. As Apple has tightened iOS security and device management solutions over the past two years, only BBM had remained as a core feature that the BlackBerry offered and that the iPhone didn’t. Extending its messaging platform to iOS probably won’t bring customers that have switched to the iPhone (and iPad) back, but it might stem the flow of customers leaving somewhat if secure messaging was established between the iOS and BlackBerry platforms. Another possibility is that RIM wants to firm up the offerings of its BlackBerry Fusion Server that can manage iOS and Android devices as well as BlackBerries and PlayBooks. Given that RIM has access to the same iOS device management frameworks as every other MDM developer (many of whom also support BlackBerry management), the company doesn’t really have a standout advantage in that area. An on-device app could serve as some form of value add, but I’m skeptical about that given that there aren’t any MDM-related skills listed. secure email/contacts/calendar solution where common functions are provided to users in a secure space on the device in a way that separates business and personal functionality. 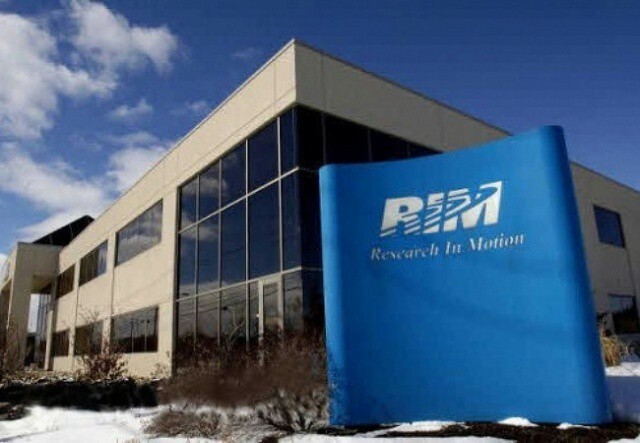 Whatever this new developer is expected to oversee, RIM may be pinning significant hopes on the results. The company is losing enterprise customers to Apple left and right these days and BlackBerry sales have even dropped below iPhone sales in the company’s very loyal Canadian market.